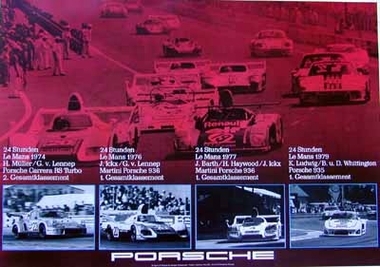 Porsche 4 Le Mans Siege 1974, 1976, 1977 and 1979. Porsche Carrera RS turbo/Martini 936. Do you have a question concerning our product 'Lemans Wins ´74, ´76, ´77, ´79. - Porsche Reprint' ?